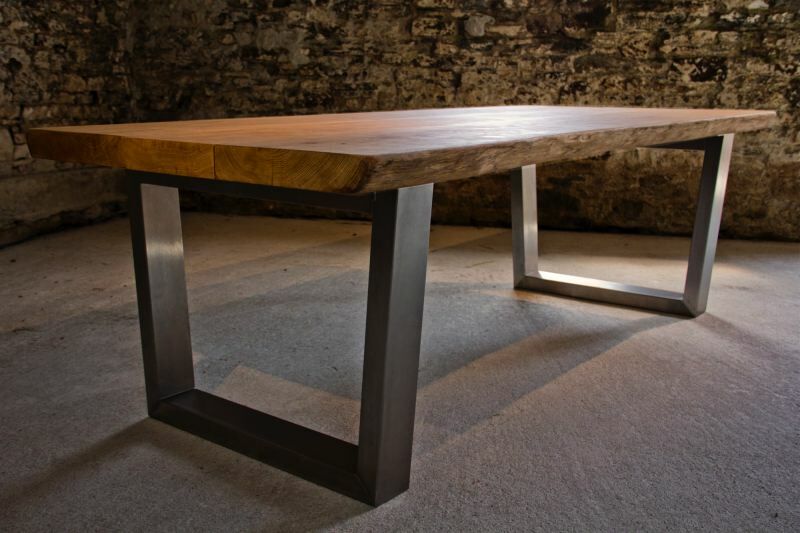 The Komodo has been designed to be the most stunning natural table you could have in your home. 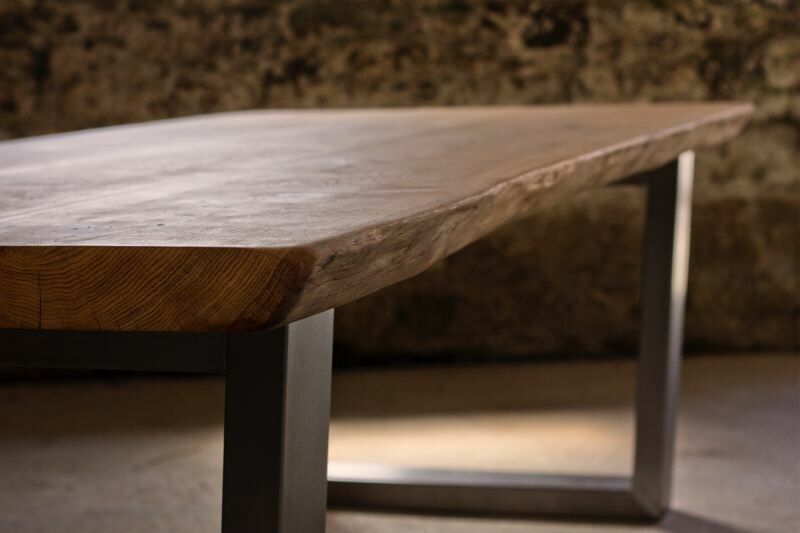 The curving edges of the Komodo’s thick oak top make it irresistible to touch and the chunky brushed stainless steel bases give the table a look of luxurious strength. 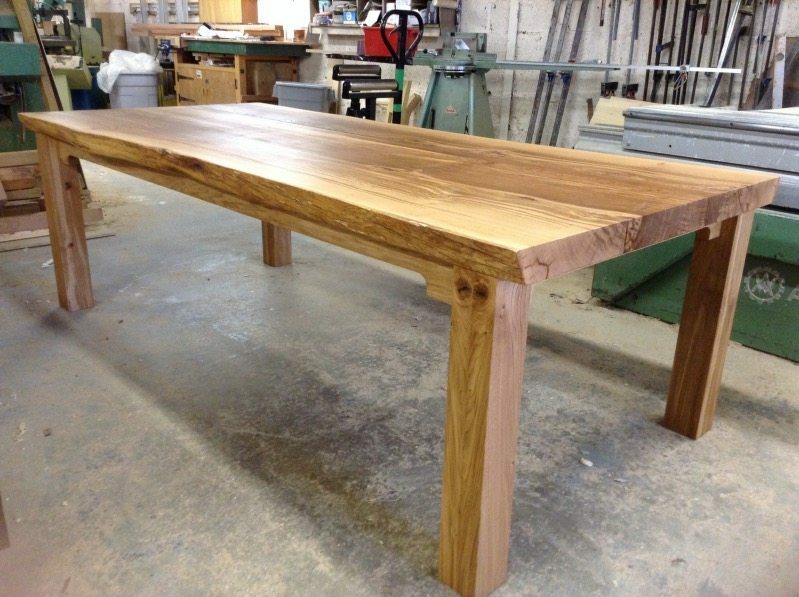 Nature and man’s finest materials brought together in a simply awesome looking piece of furniture. 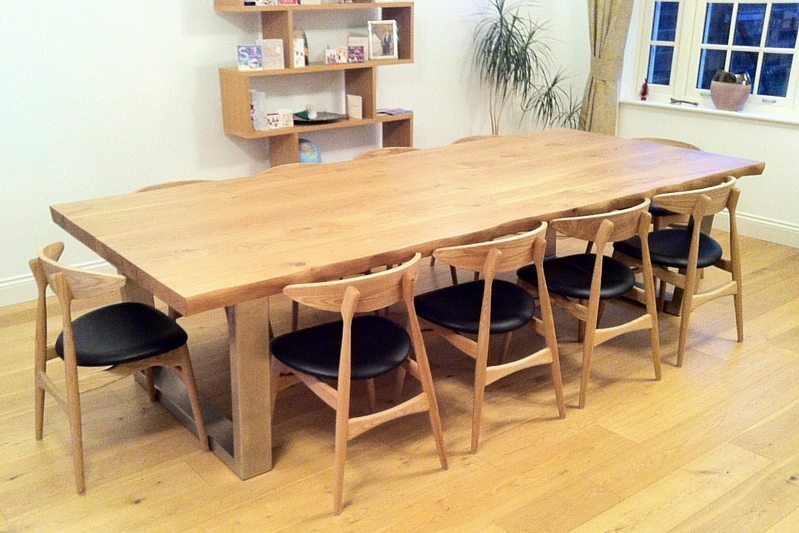 Each large oak dining table top is built using single solid pieces of oak in our unique design. 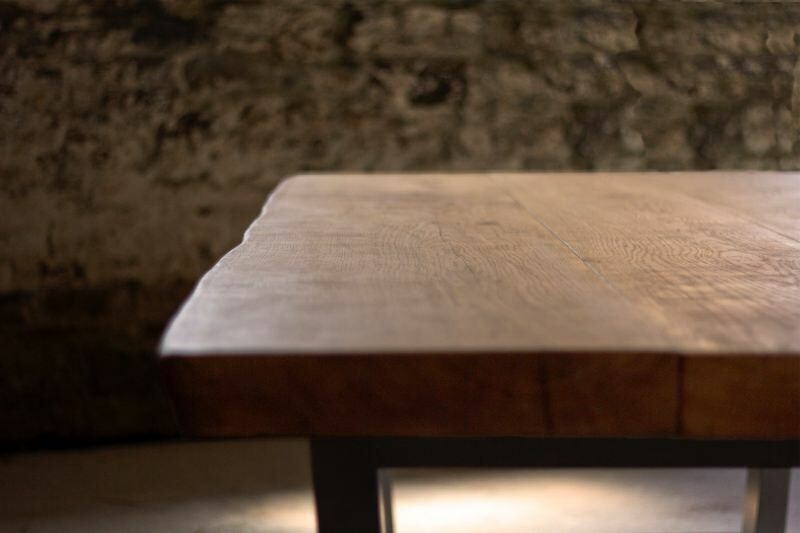 Not only does that mean that the oak’s colour and grain flows unbroken along the entire length of the table, but also that the solid oak top will age naturally and never become shabby with age. 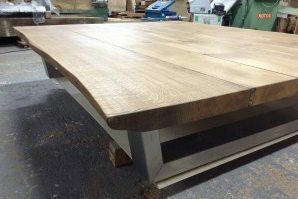 Most other oak table tops are made up of many short pieces of oak that have been glued, or laminated, together to make up the length and thickness of the table. 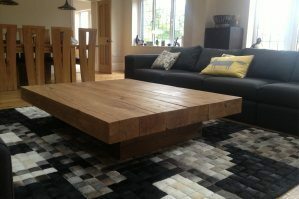 This is because it is much cheaper material and the result is an oak top which looks more like floor-boards. 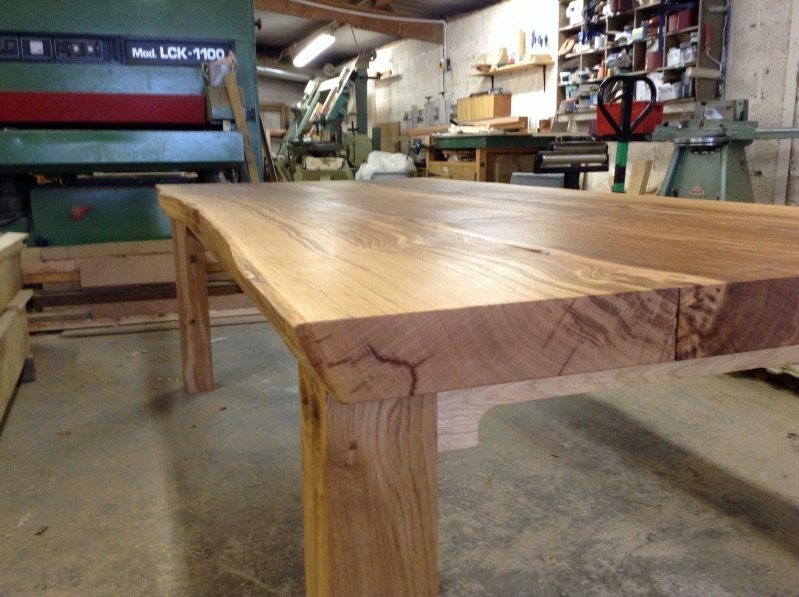 You can easily identify a cheaper laminated oak top; just look for the many square joints in the table top where the oak suddenly and unnaturally changes colour and the grain stops and starts. 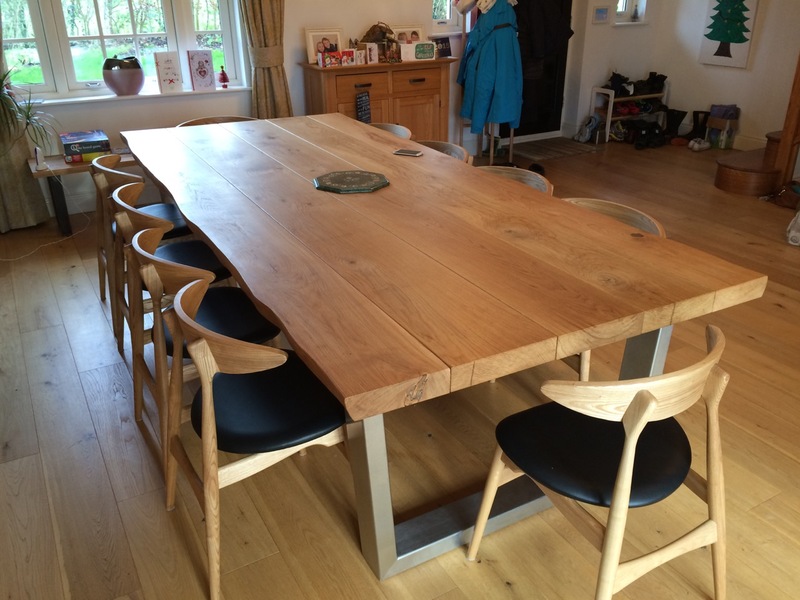 Because oak is a natural material that breathes as the air humidity changes throughout the year, it contracts and expands slightly every year. 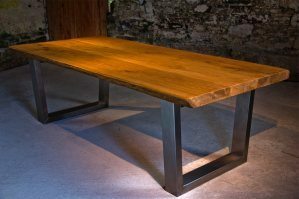 The Komodo design allows each beam to breath without the small seasonal movement straining the joints and prematurely weakening the table. 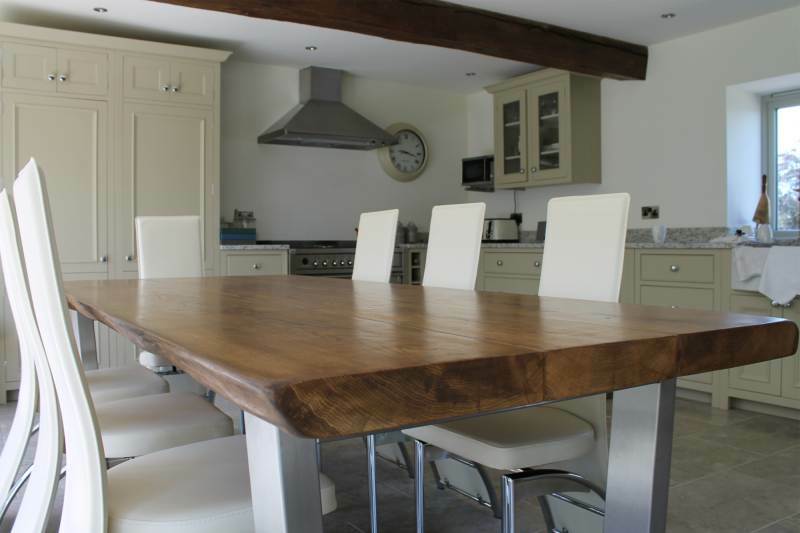 We protect the oak’s beautiful appearance with a highly durable stain-resistant finish, which keeps the oak looking and feeling completely natural. 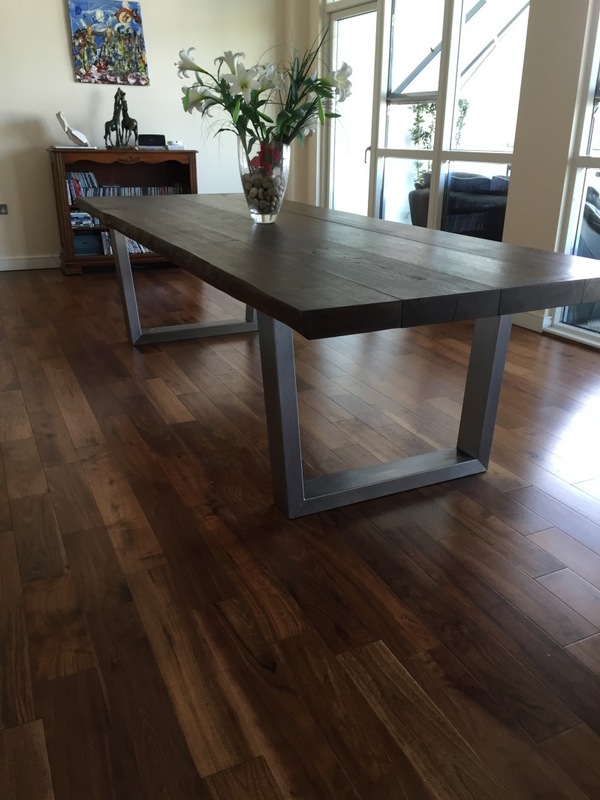 That means you can use the table as heavily as you like without worry and there is no need for the regular refinishing that a waxed or oiled table demands. 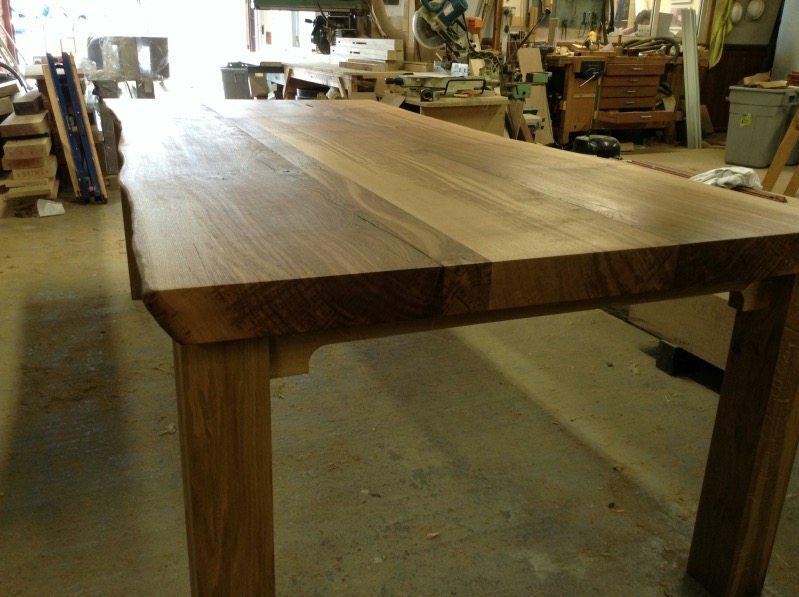 The edge of the table takes the shape of the natural curve of the tree that it came from. A refined hand-finishing technique leaves the table’s natural edge and top surface beautifully smooth to the touch. 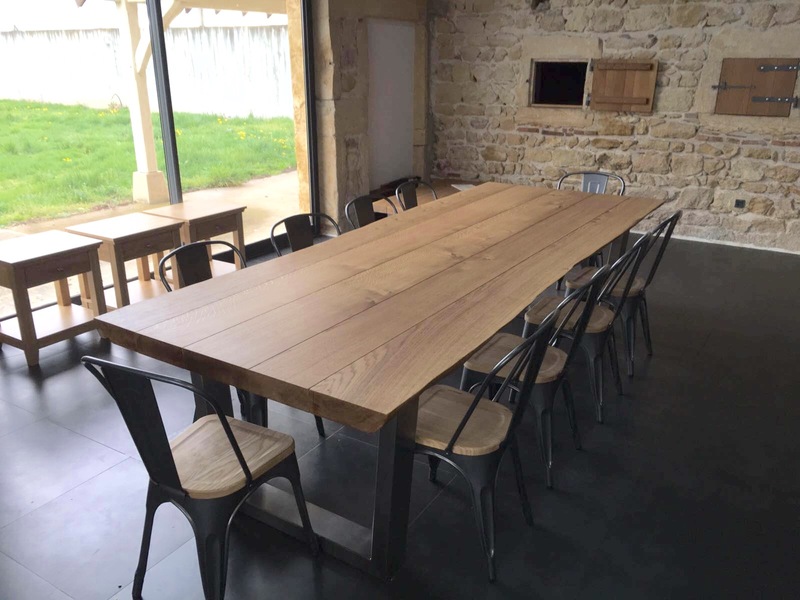 The Komodo table’s structure will never become weak or wobbly because of its unique locking-plate structural design which holds each part of the table together independently. 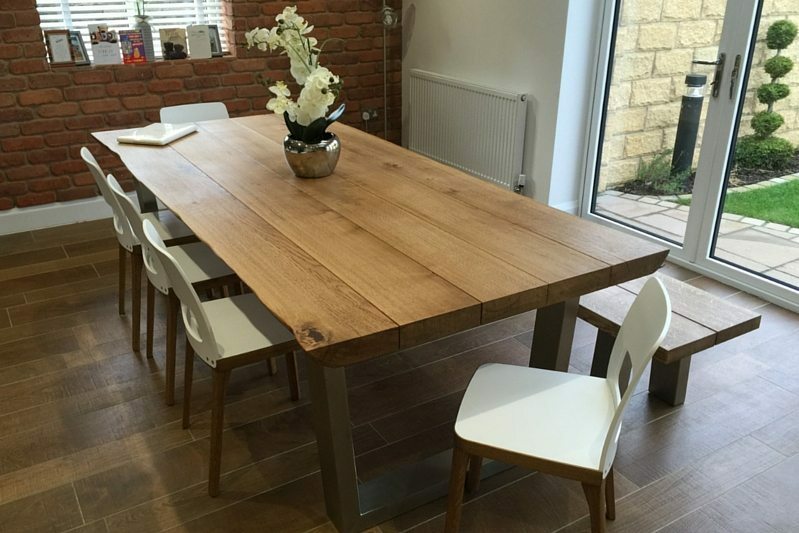 This large oak dining table can take any amount of weight or everyday use because of the immense strength of the thick oak top and base, locked together with this simple but innovative structure. 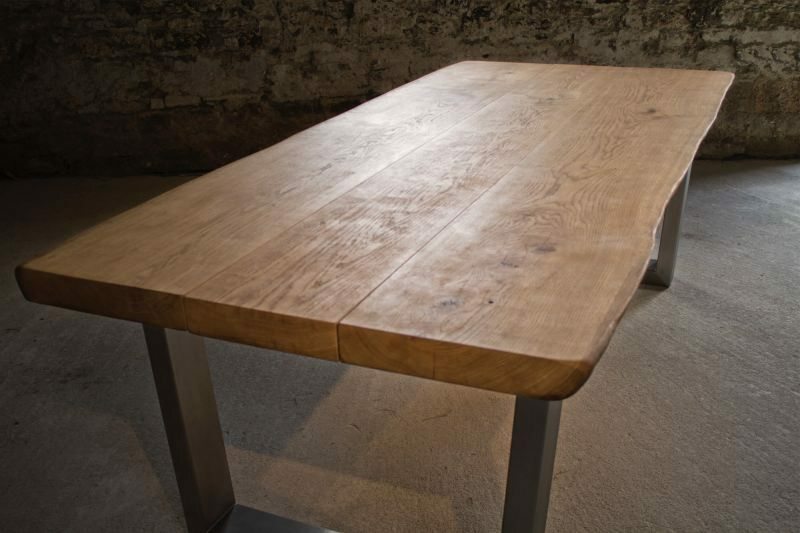 Even if there is any natural movement in the oak over the years, the table parts can still remain locked tightly together because the table base is designed to allow for any degree of natural movement. 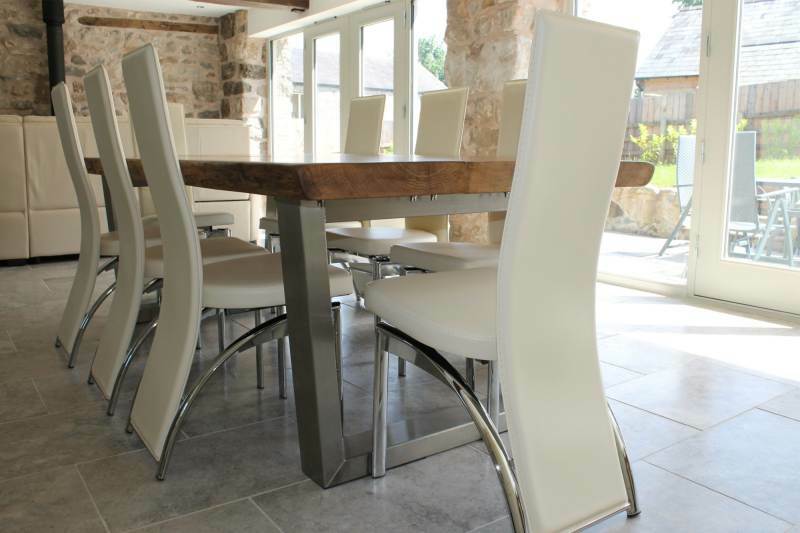 The legs are a continuous stainless steel rectangular box section 120 x 60mm so extremely strong. Then a 5mm thick stainless plate is fillet welded onto the top of the horizontal cross-member so it can’t bend or break under any amount of household stress. 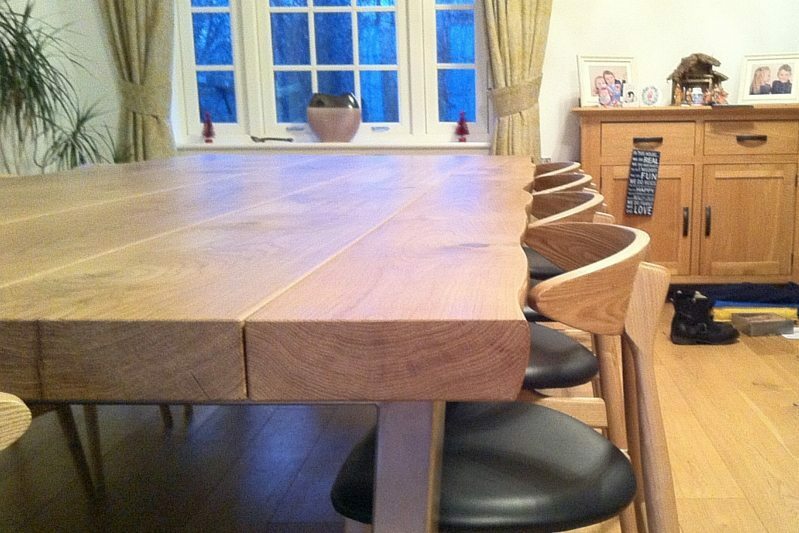 This layout plan shows the standard table options, each size showing 2 optional settings. 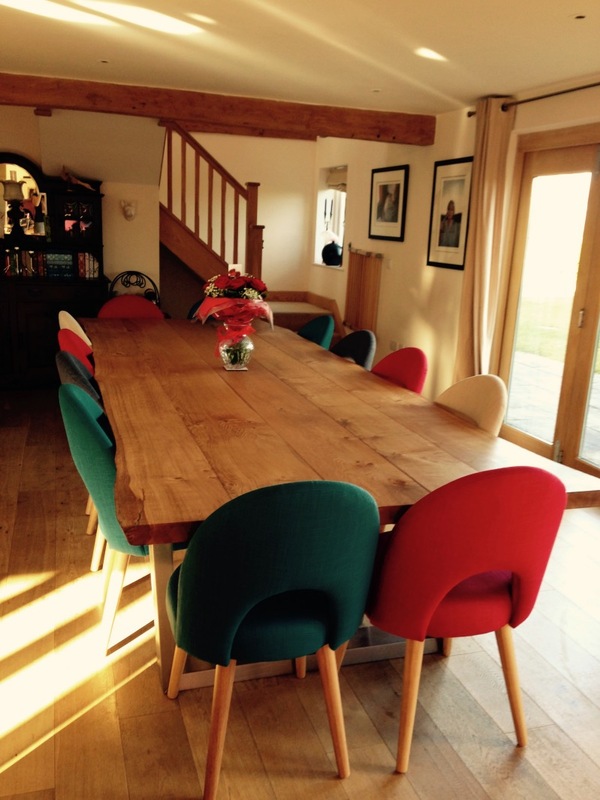 Firstly a more spacious setting for the number of people who could regularly and comfortably eat at the table and secondly the maximum number of people that could eat at the table. 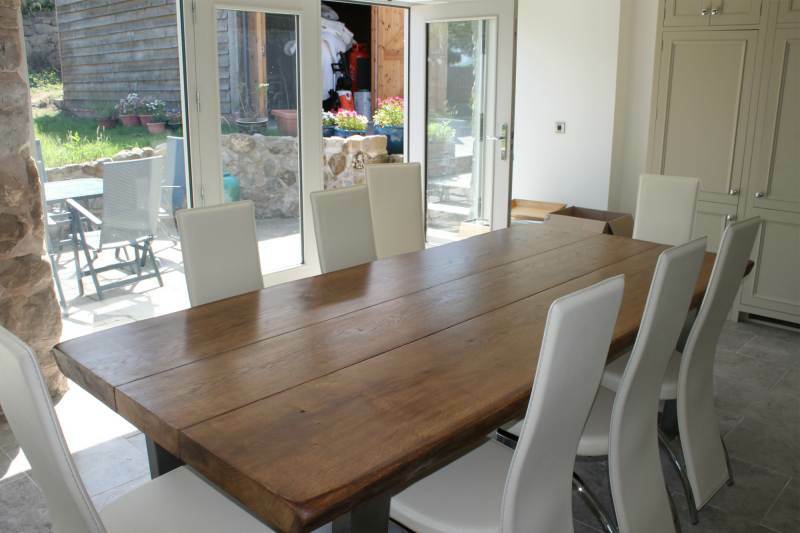 For example, if you’re seating up to 8 people regularly but may need to seat 10 occasionally, I’d recommend the 2400mm table which is the table featured on this page.